You can’t be early enough for these things, the world leading show for watches! Baselworld 2005! It will be held from the 31st of march till the 7th of april 2005. Be sure to have your ticket and hotelreservations on time, because it is going to get crowded in Switzerland. 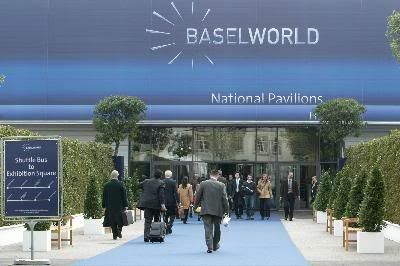 Click here for an overview of all Baselworld 2004 news.